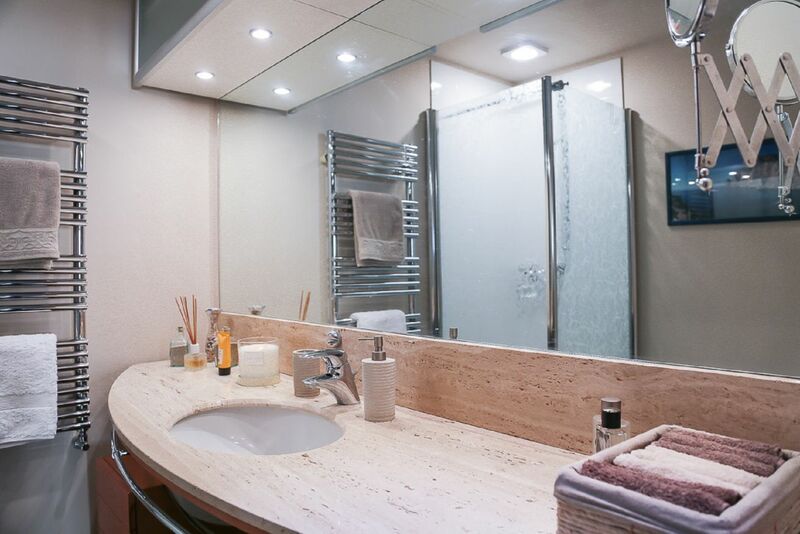 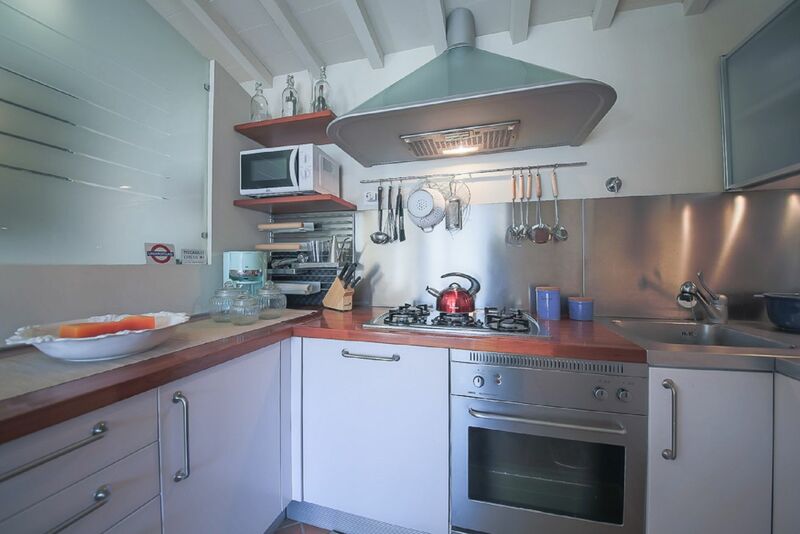 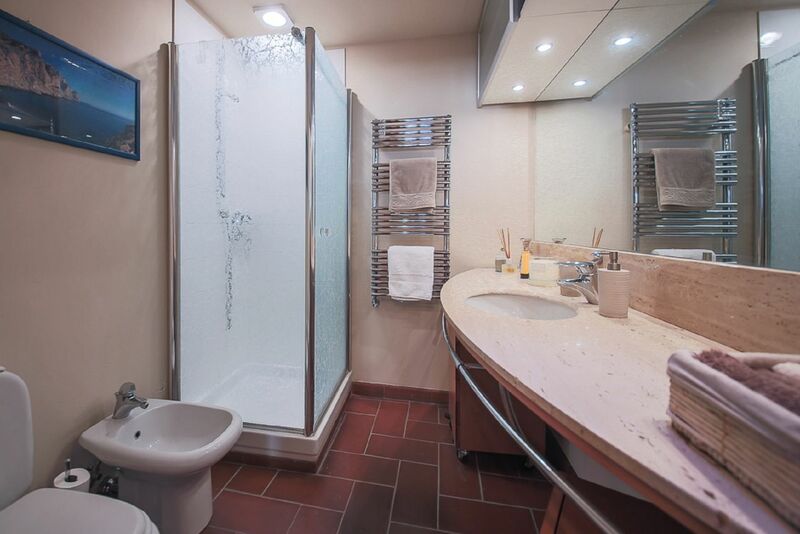 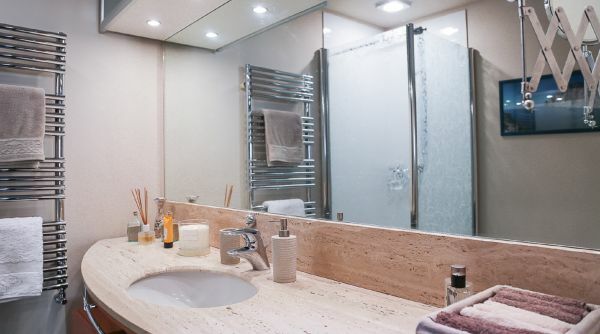 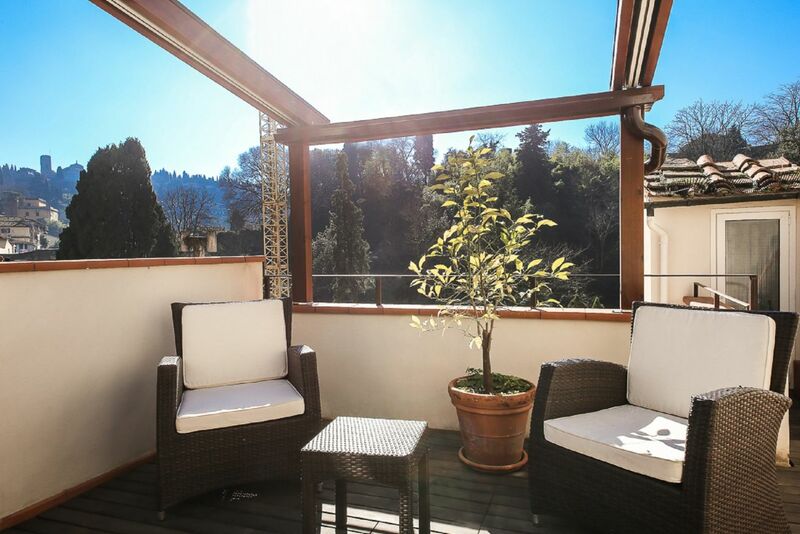 Apartment for rent in Florence area San Niccolò, Italy. 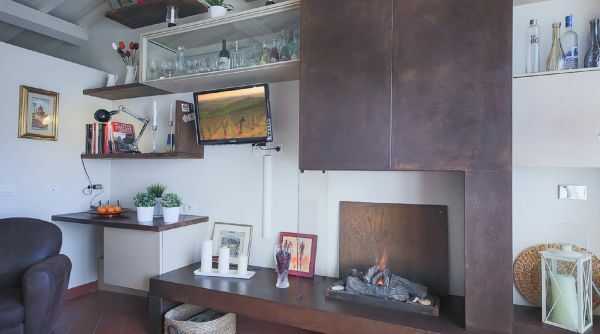 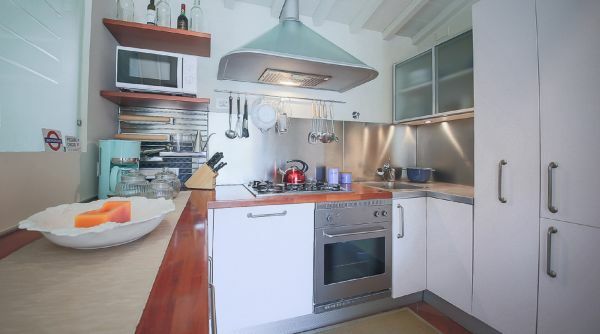 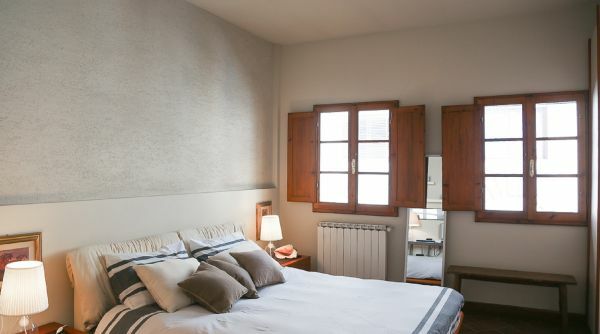 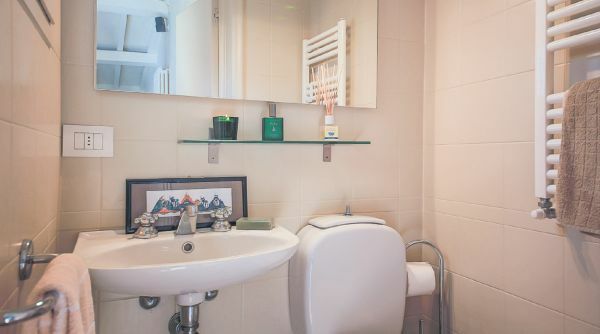 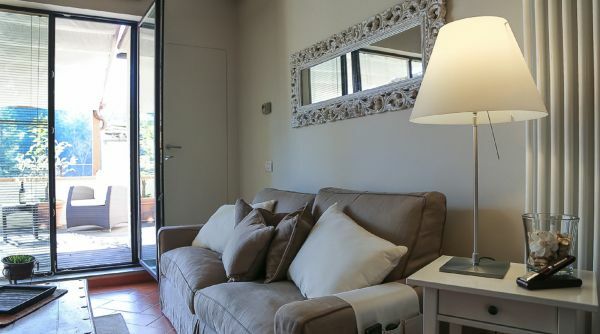 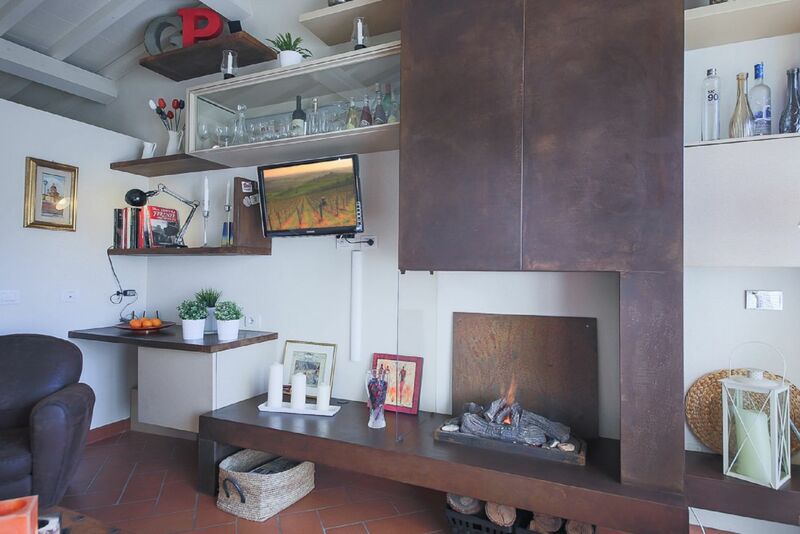 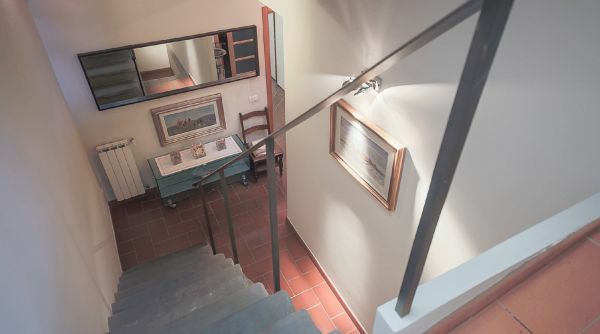 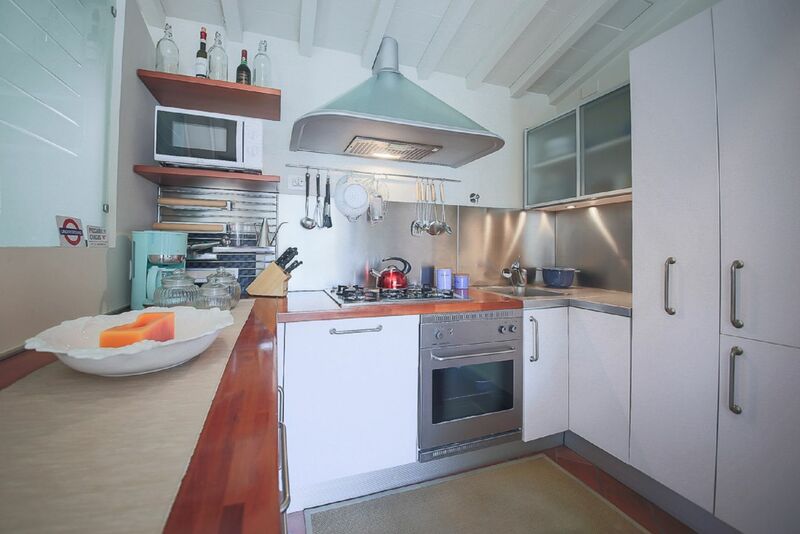 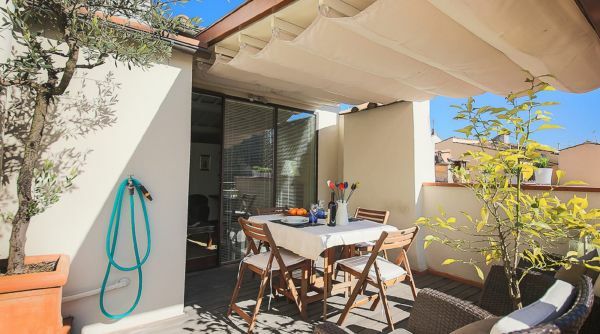 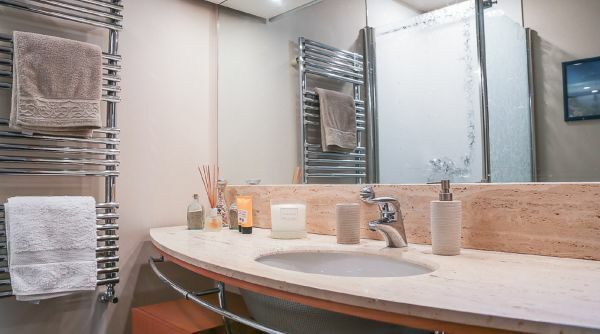 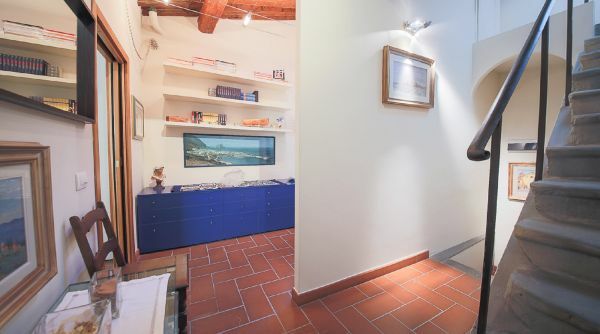 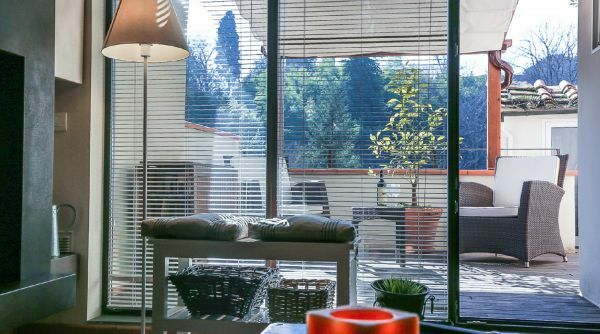 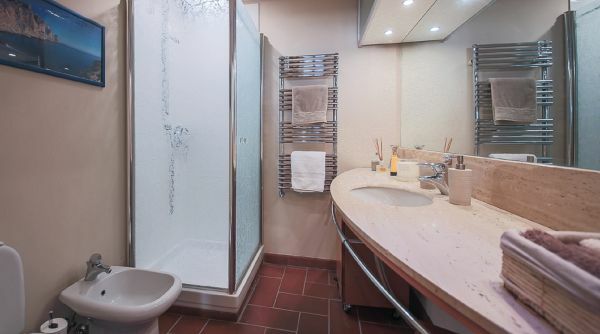 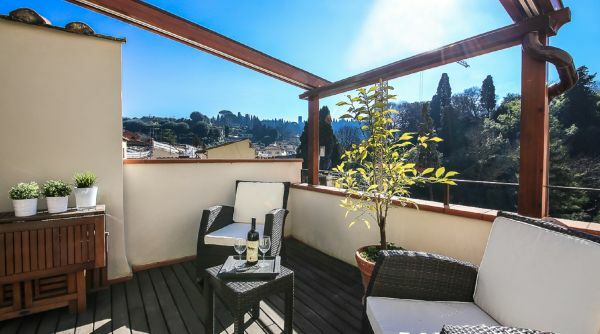 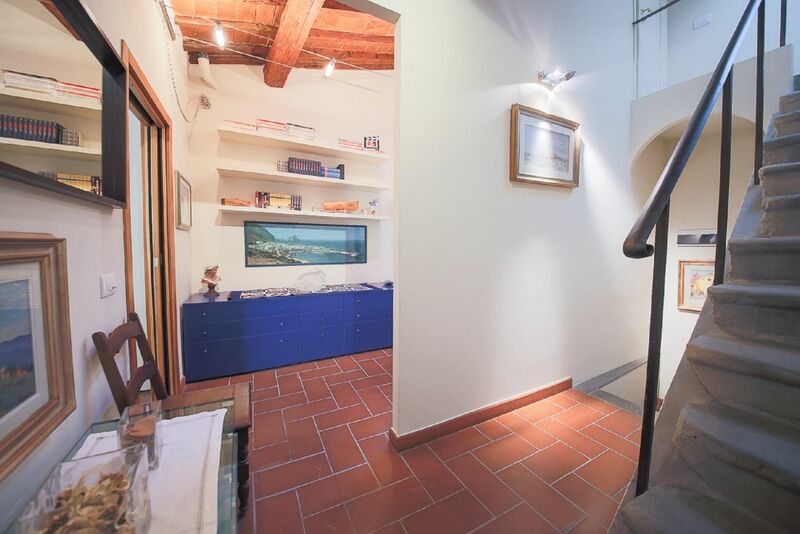 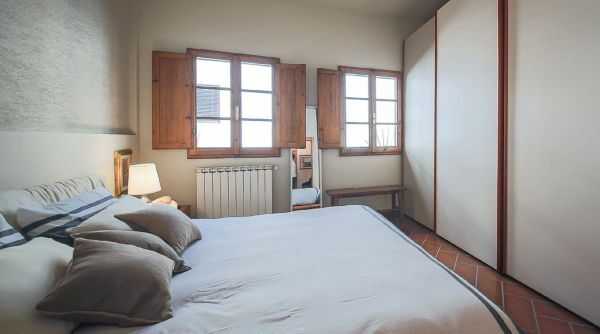 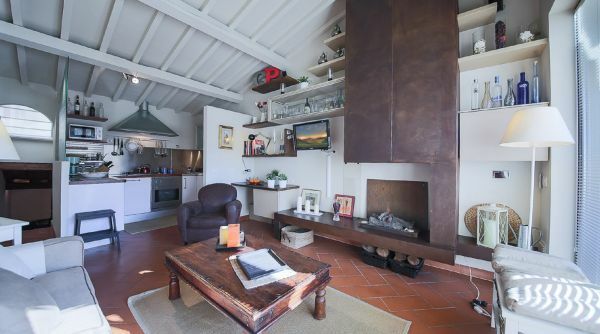 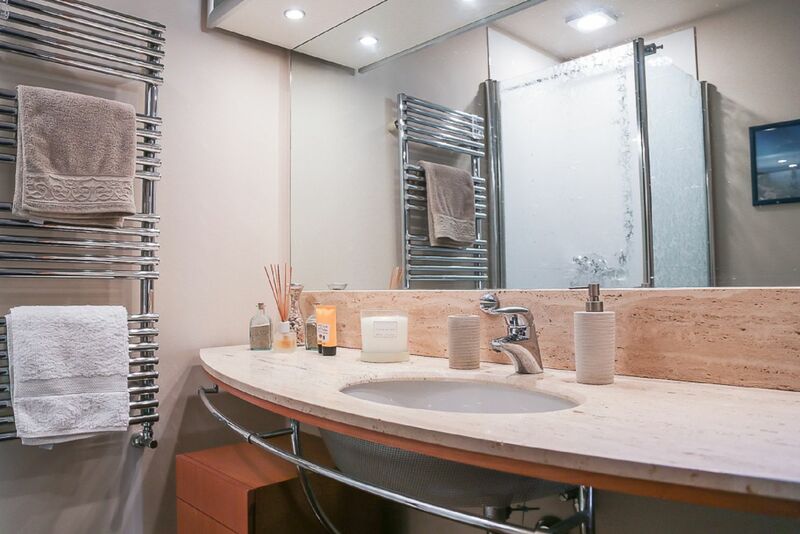 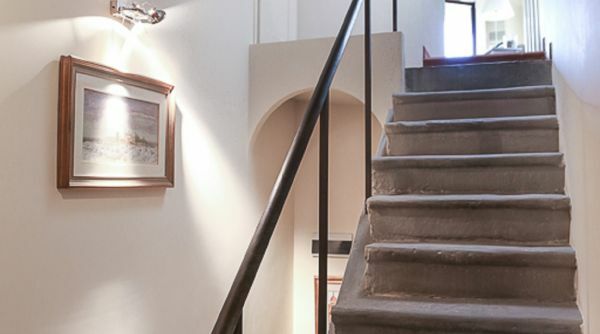 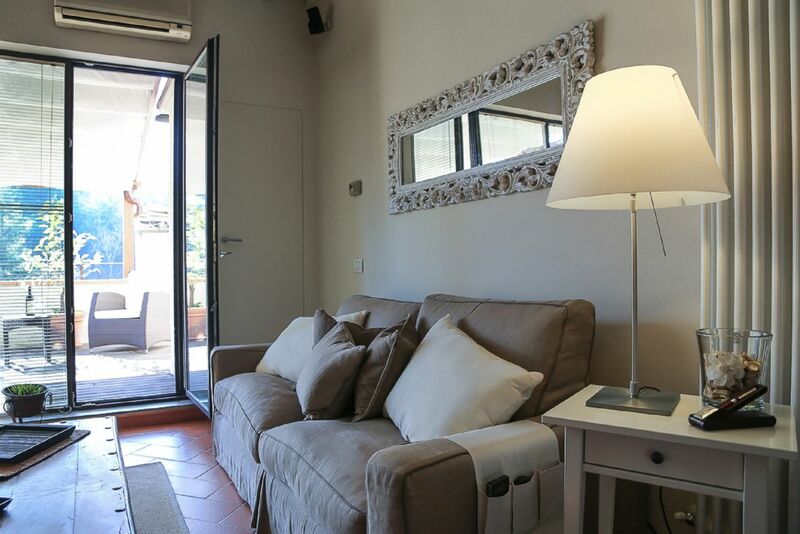 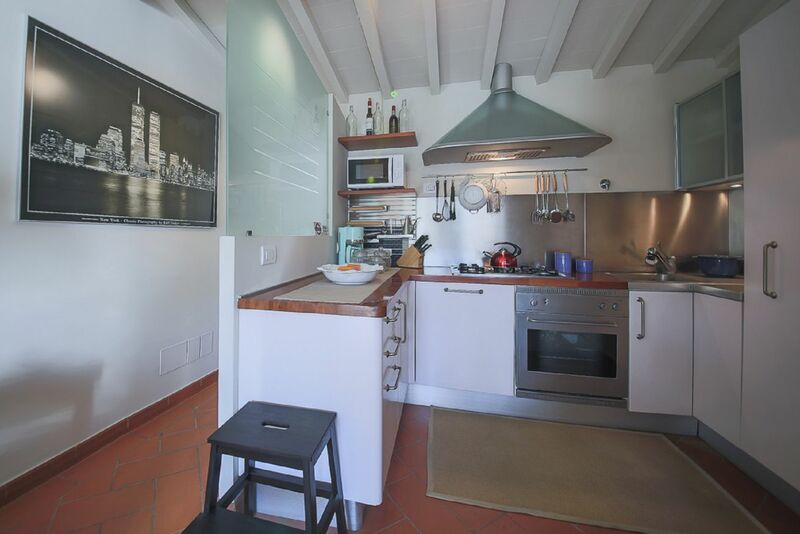 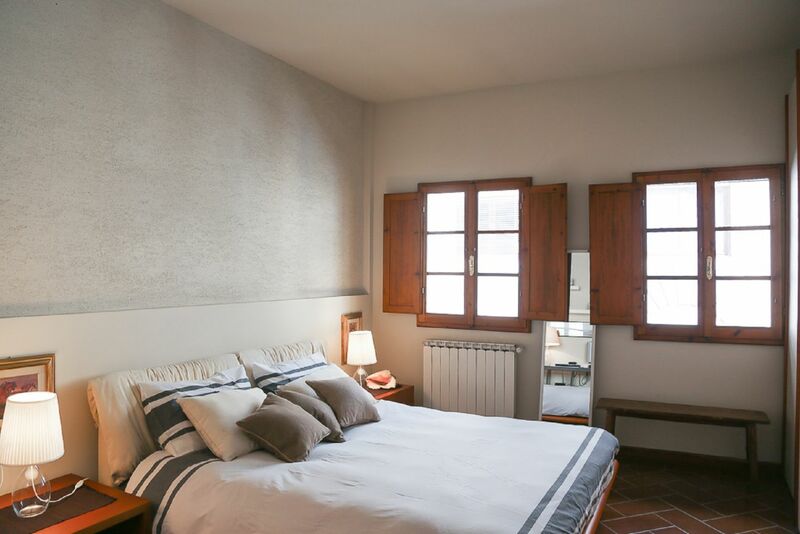 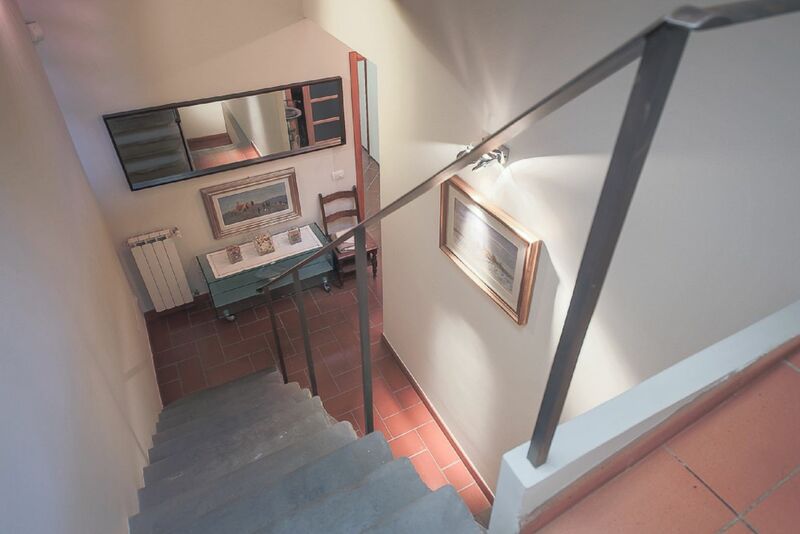 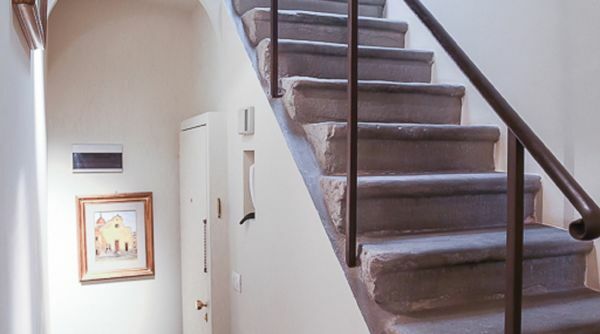 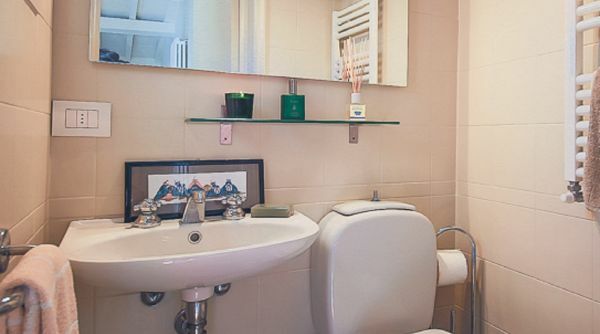 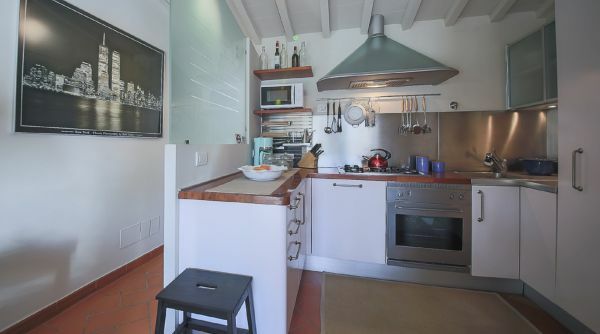 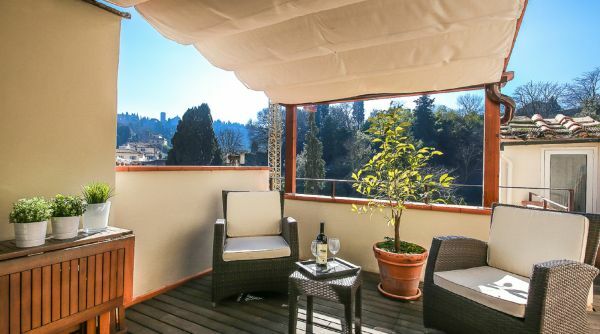 This beautiful, fully renovated one bedroom apartment is located in one of the most interesting areas of the Old city called San Niccolo on the "Oltrarno" side of the city. 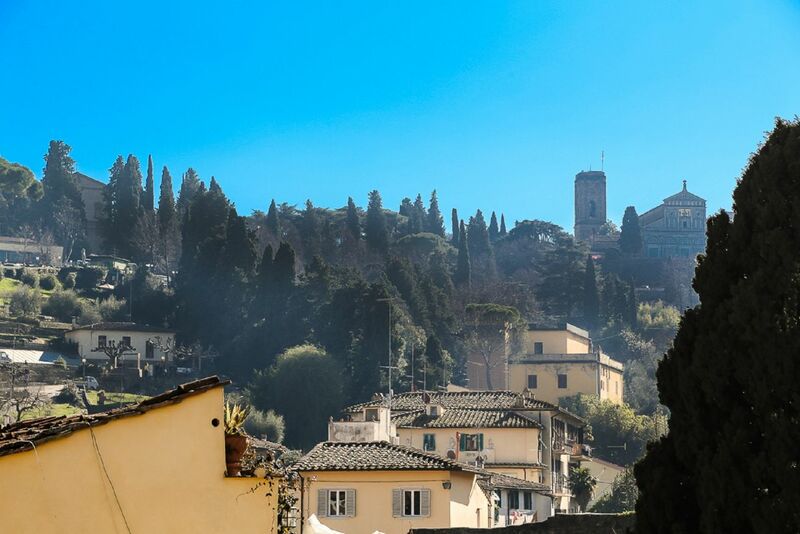 There are some lovely restaurants, cafes and small markets just outside your doorstep along Via San Niccolo. 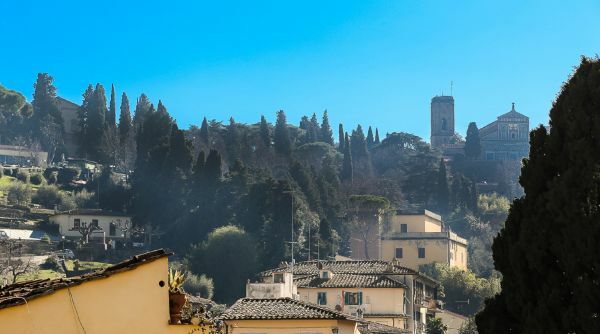 There is also a lovely walk or run uphill to Piazzale Michelangelo and San Miniato which have some of the most spectacular views of the city. 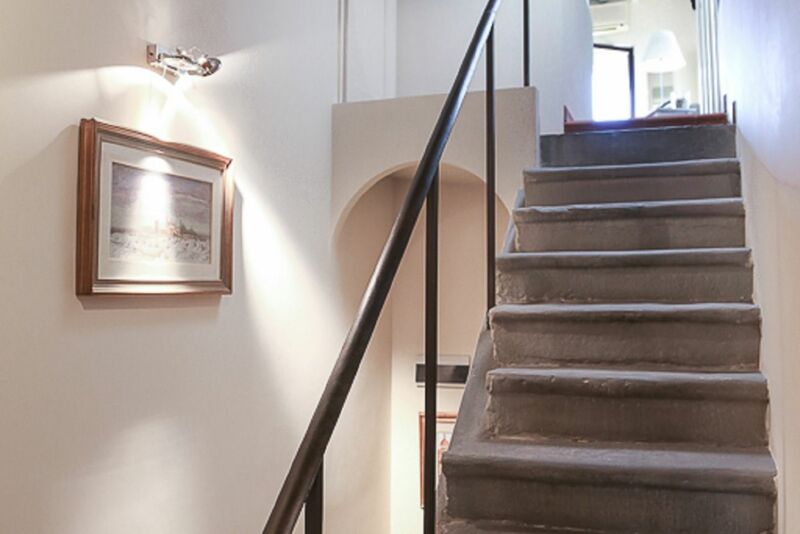 The apartment is located on the 3rd floor (european) without elevator in a residential building. 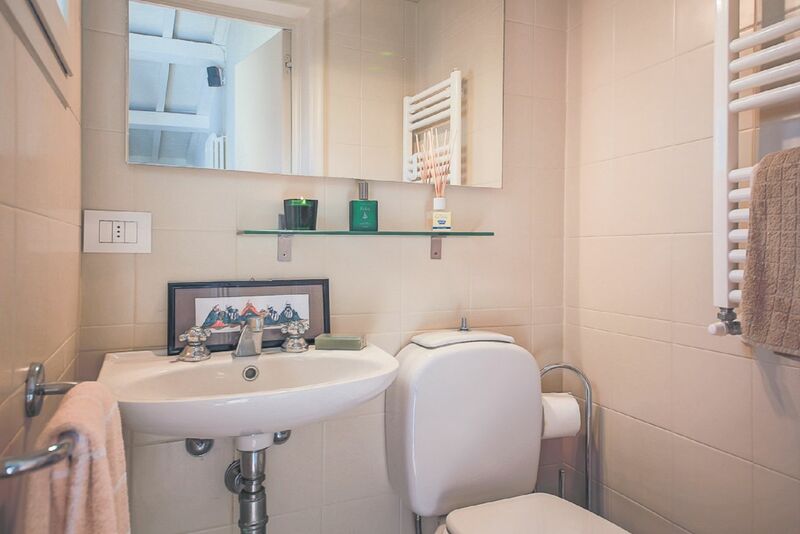 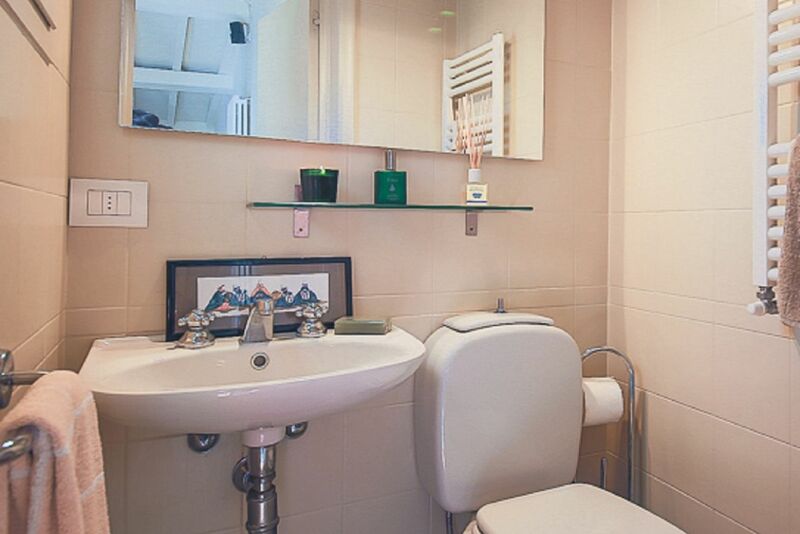 As you enter the apartment, there is a small entryway that leads to the modern bathroom with shower and master bedroom with double bed.. 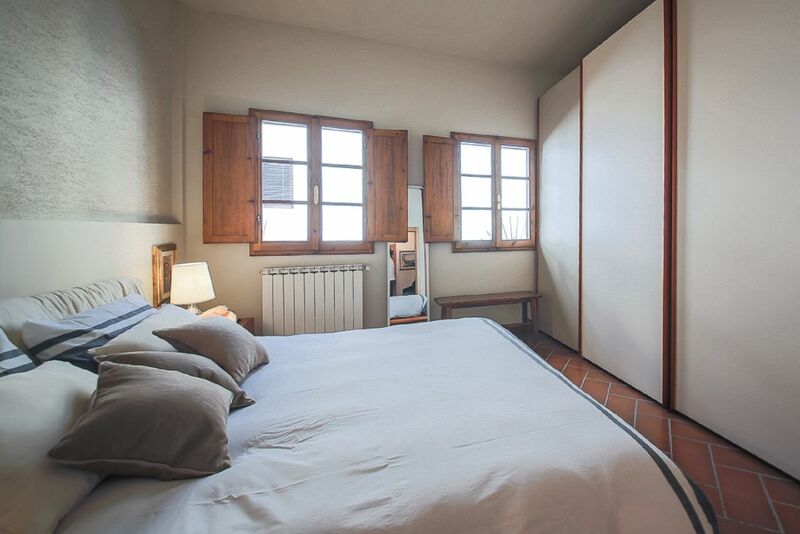 In the bedroom there is a large armoire that is suitable for clothing and extra storage. 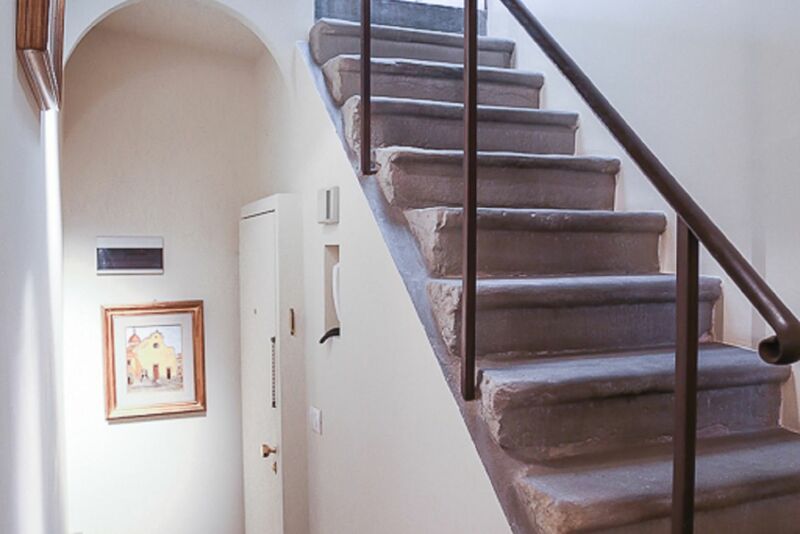 From the first level of the apartment, there are stairs that lead to the living room and kitchen area. 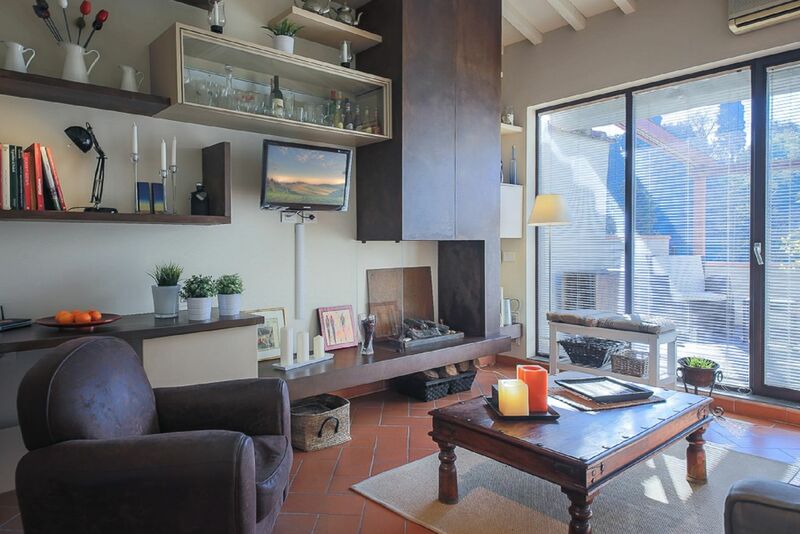 There are floor to ceiling windows that give this room lots of natural light. 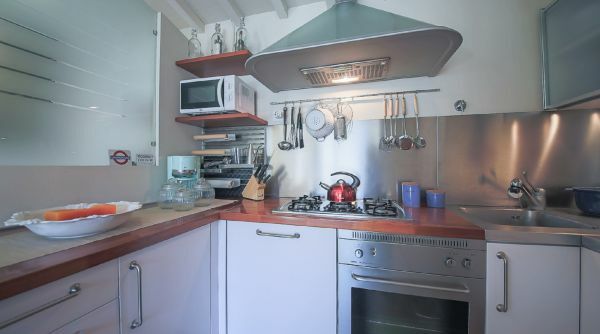 The kitchen comes fully equipped and there is a fireplace and double sofabed in the living room. 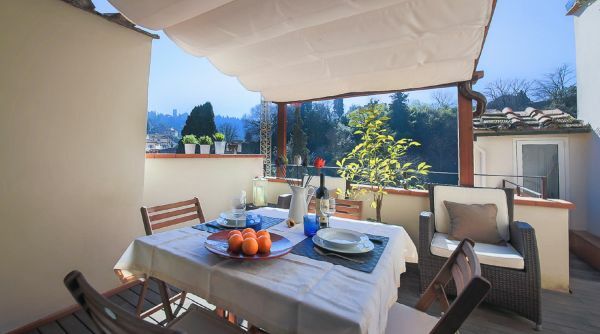 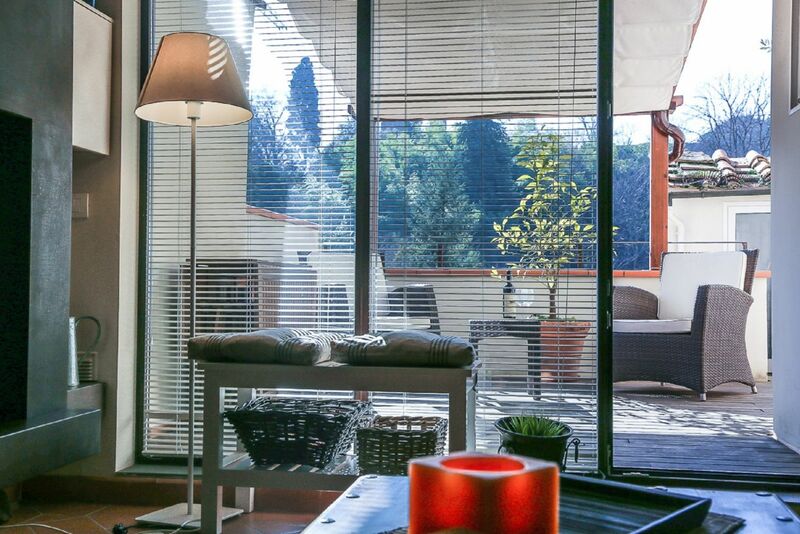 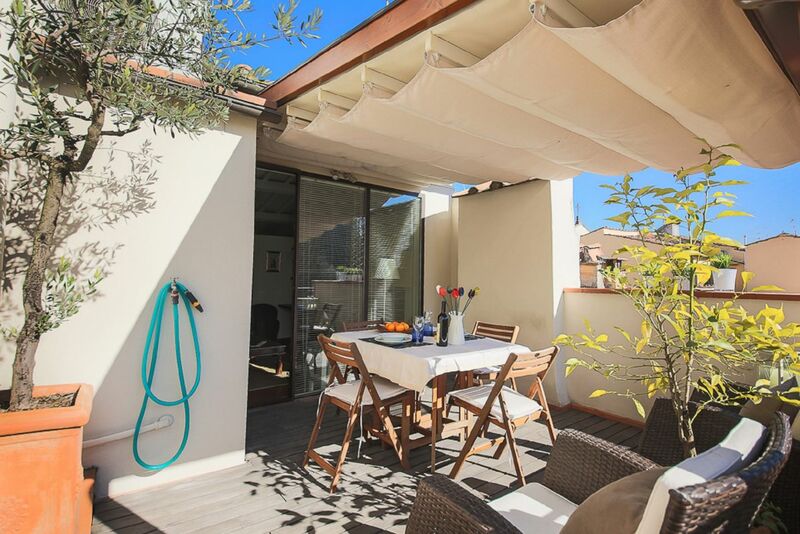 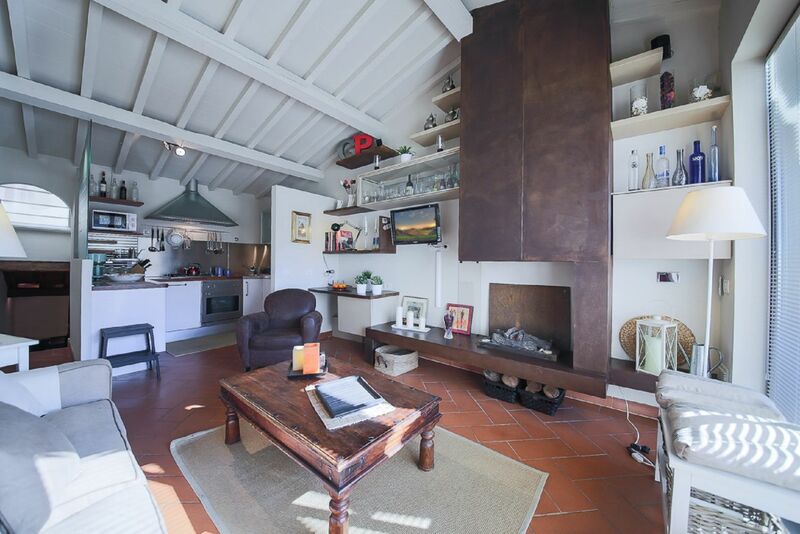 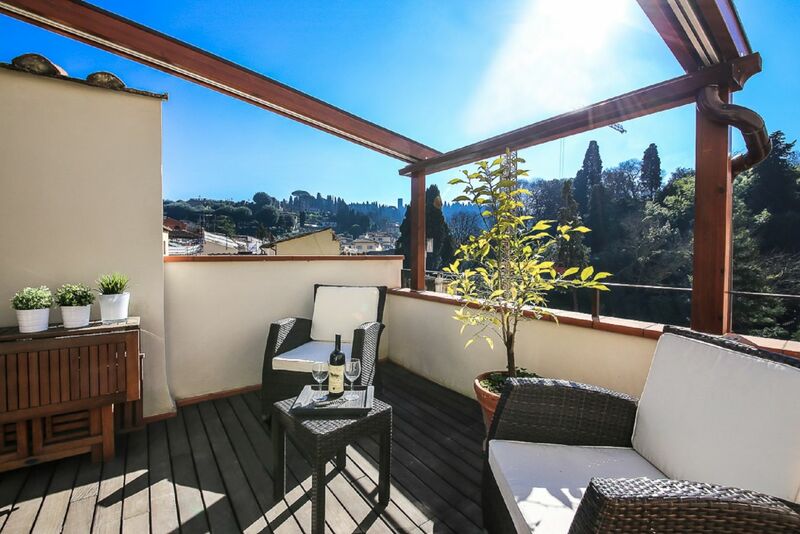 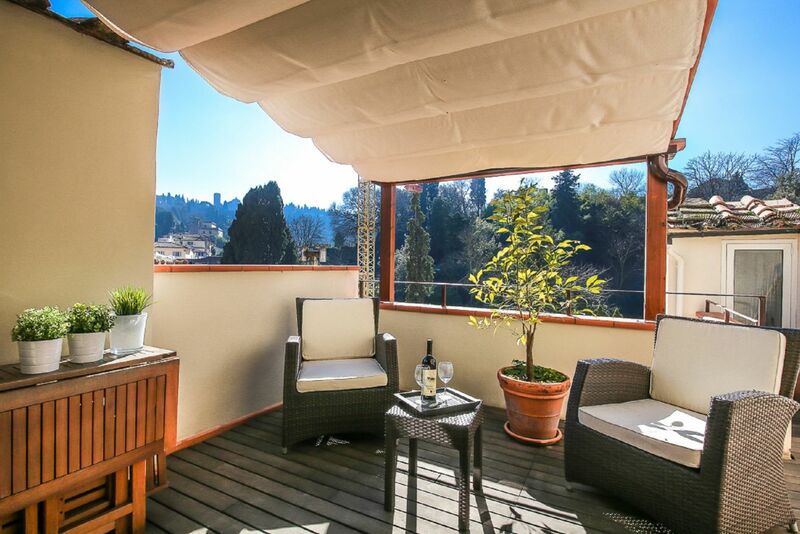 From the living room you enter onto the beautiful terrace that has a lovely view of the hillside of Florence towards San Miniato. 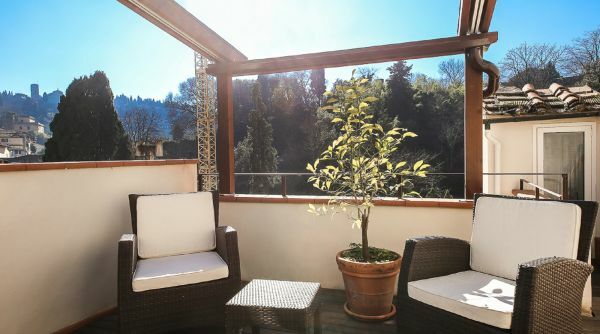 On the terrace you have your own planted olive tree, seating for 4, along with a electronical awning. 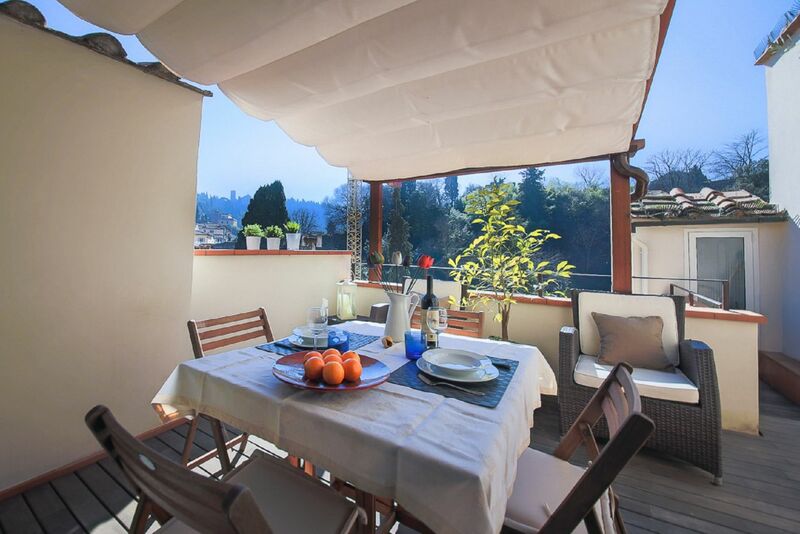 Enjoy you morning caffe or dinner with friends in this charming terrace! 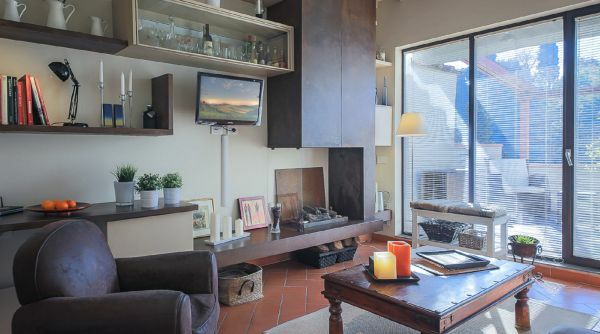 Air conditioner is only located in the living room & kitchen area.